Ronni Shendar » Demos are here! The dear Glitterbug has a new album coming out in May, 2014: ‘Dust’, and I’ve created done the artwork and design for the 2×12″ vinyl and the digipack. 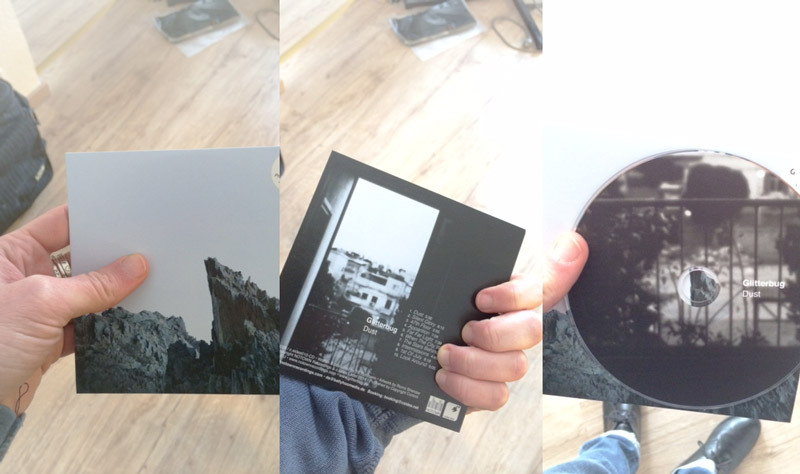 Today the demos arrived, and for just being a silly carton sleeve, they look gorgeous! I can’t wait to get the real thing. You can order vinyl and CD directly from us starting May 12th on Glitterbug’s BandCamp. 03 Apr This entry was written by Ronni Shendar, posted on April 3, 2014 at 1:02 am, filed under Photos and tagged graphic design. Bookmark the permalink. Follow any comments here with the RSS feed for this post. Both comments and trackbacks are currently closed.